View from inside the hotel, it was crazy. So last week I was in Nashville, working for my company’s Annual Meeting. It was a week long event with nearly 2000 people in attendance. It was a busy, hectic, yet productive week. I stayed at the Gaylord Opryland Hotel in Nashville, a massive hotel that was a small city. It was confusing at times and I found myself walking in circles at night trying to get back to my room. It’s a hotel that people need to visit at least once to see how crazy it is! Our company had a dinner for my boss’s retirement at the The Grand Ole Opry. It was a short walk from hotel to one of the most famous venues in the US. We were able to walk on the stage, the same stage that famous musicians graced in the past. It was pretty interesting to be there. View from the stage of the Grand Ole Opry. Not many people will get the chance to stand there and see that view. This was a view from the stage. Many presenters, artists, and other famous people have been on this stage, looking out onto the crowd. Not everyone gets a chance like that to stand up there and take it all in. Despite a long week, this was pretty cool and a highlight of the trip. After 50 years, Japan is set to unveil its first commercial jet. 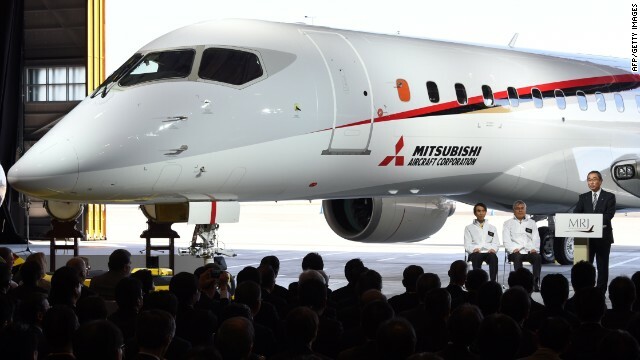 The Mitsubishi Regional Jet, MRJ, is a narrow body jet that was unveiled on Saturday at the Mitsubishi’s Komaki Minami plant in Nagoya, the same plant that produced the Japanese Zero fighter from WWII. The last plane that was built by Japan was back in 1972, the Mitsubishi YS-11, but only 180 of the planes were sold. The prop plane was suppose to revitalize the Japanese aviation industry, but it never came to be. The new MR, which seats 4 people across, already has orders for 15 from ANA. Mitsubishi is hoping to have the planes operational for commercial use starting in 2017, with other vendors purchasing them in a very tough market for narrow body planes. It will be very interesting to see how Mitsubishi is able to develop its aircraft and how it will fare against the other vendors around the world. For a country that has incredible transportation innovations, such as the bullet train, this could be the next step in their development for even better transportation technology. Pentatonix released their 4th music video from their new album, PTX volume II, and once again it’s amazing. It’s the song “Rather Be” from Clean Bandit and PTX made it their own while keeping it similar to the original. The video was filmed while they were on tour in Asia and the backgrounds are just amazing for the videos. From Kirstie walking around a small market area to Kevin dancing with a panda bear, it’s just another great hit from PTX. Give it a view and make sure to check out the rest of their incredible music. When it hits October, it seems pumpkin is added to everything! From coffee to oreo cookies, pumpkin flavoring invades everything. To me, it’s something that only the US did but that is not true. It seems KFC in Japan is jumping on board the pumpkin express. KFC in Japan is changing up their biscuits by adding pumpkin flavoring to them. The Halloween biscuits will be infused with kabocha, a cousin of the pumpkin, that should give it a little extra flavor and smell. The biscuits are only 180 yen, which is about $1.65 in US dollars. The biscuits are also being joined with a new orange bucket to get even more festive with the month of Halloween. Another powerful typhoon is headed towards Japan. Typhoon Vongfong, with winds over 160 mph (wind gusts over 200 mph), is churning towards Okinawa and the southern part of Japan. The strongest typhoon of the year, a category 5 if it was a hurricane, is bringing dangerous winds and rain towards Japan. The southern part of Japan is expected to feel the full strength of the storm as early as Saturday with mainland Japan feeling its force by Monday into Tuesday. Japan and the southern Ryukyu islands are still recovering from typhoon Phanfone that came through last Sunday, dropping over 6 inches of rain and causing damage across the area. Now Japan must brace for this massive storm. The storm could weaken a bit before making landfall, but it is still a powerful one that is expected to cause a lot of issues in Japan and the neighboring region as it moves through. The southern regions of Japan have already been saturated with the rains from Phanfone, so the threats of landslides and flooding are at high levels for people living in this region. Even Tokyo and areas north will feel this storm. I hope they are prepared for it and hope that no one loses their life to this powerful storm. I get to walk on this stage. Pretty neat. I wonder if I should purchase a banjo while I’m there. Next week is going to be a very busy one for me as I will be heading to Nashville, Tennessee for a week! It won’t be a pleasure trip, instead, it will be for a week long work conference. It will mean early mornings and late evenings, but its all part of the job. Last year I was in Chicago and it was quite the experience. I was able to sneak out of the hotel a few times and got to see Soldier Field at least! 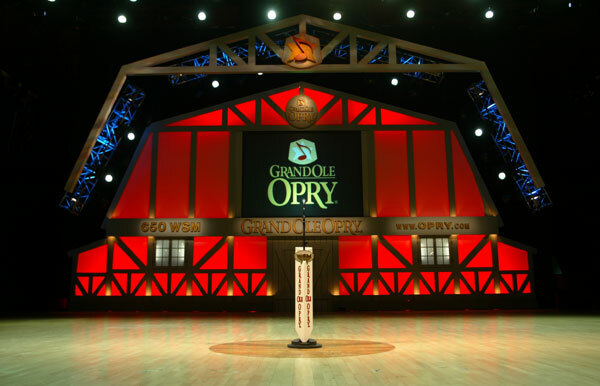 I’ve never been to Nashville and am interested to see the Grand Ole Opry during the stay. I’ll try to do some blogs while on the road, reporting my experience on Rocky Top and anything else that strikes my interest. I’m hoping once I get back from the trip I’ll be able to get back to normal and get back to the Japan travel talk. There is a lot that has happened and a lot to discuss, so hang tight and thank you always for reading! Typhoon Phanfone has made landfall in Japan, claiming two lives in the process and sending two more missing at sea. Two US airmen are still missing at this time as Typhoon Phanfone made landfall in Southern Japan, battering the coast with winds up 130 mph. 1 US airman was able to make it back to shore but another one was found dead. A surfer off the coast of Fujisawa was also killed as the storm continues to cause damage across all of Japan. Flights are being grounded, thousands are being evacuated along the coast lines, and the threats of mudslides are on the rise and the rains continue. Japan has been hit a few times this year by these powerful storms, making life difficult for many and endangering thousands in the process. Even though fall is coming, the powerful storms in the Pacific are still churning and hitting Japan once again. I hope no one else looses their lives during this storm and that they are able to recover quickly.